Attorney handles any and all issues regarding the Private law. We take care of all your legal needs. No dispute is too big or too small for Attorney so Call + 46 8 665 35 70. A Private law dispute has arisen when you or your counterpart have made a claim and the recipient of the claim has contested the claim as such. The dispute may include damages, claims, property errors, insurance claims, etc. As an individual, you may end up in dispute with other individuals as well as with companies, authorities, municipalities, etc. as counterparts. When you as a private person is in dispute with a company, authority, municipality or state you are always the “weaker” part because your counterparty usually has far more resources than you have. Attorney can quickly see what support you need and the evidence that may be needed, and we jointly develop a strategy to quickly and cost-effectively get a good result in the case. No dispute is too large or too small, but we only deal with cases where we think we can help you. Once you decide to hire a lawyer from Attorney, we meet and review your questions and your goal with the dispute and we will then come up with what you need and how to appropriately manage your case. We then always try to resolve the dispute outside court, but sometimes it impossible, and then we will have to handle the case in court. Under certain circumstances, you may be entitled to financial aid, which we will assist you in pursuing but we give no guaranty we will succeed. Attorney’s motto is “When Trust Matters” so we are responsive to your needs, thoughts, and wishes. Our work is based on our skills and on the personal relationship with you. 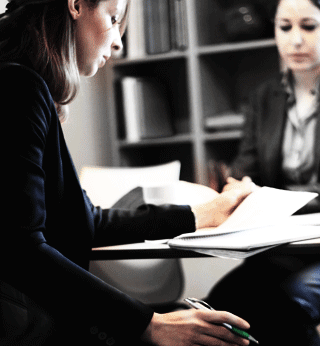 Contact us on +46 8 665 35 70 or via contact@attorney.se so that we can jointly handle the tough and difficult decisions that arise in connection with disputes, litigation and negotiations.